Finally getting around to posting pictures from our weekend back in Kansas City! 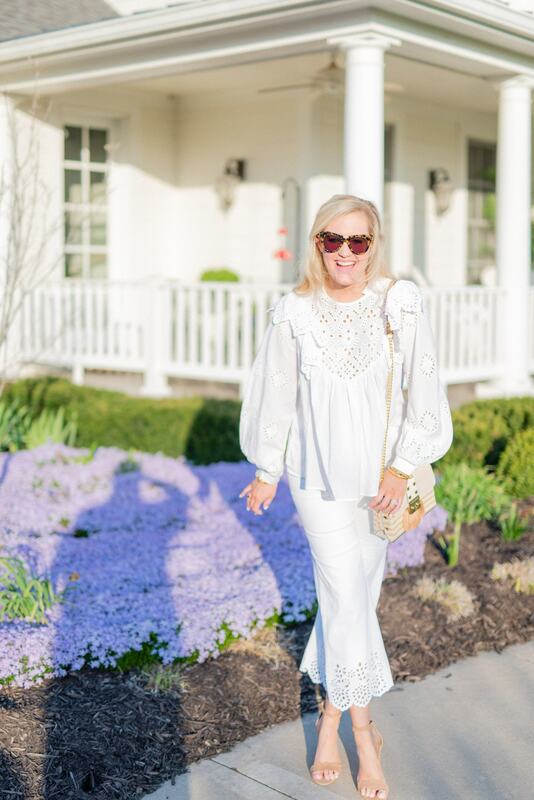 This is one of my favorite outfits for summer. 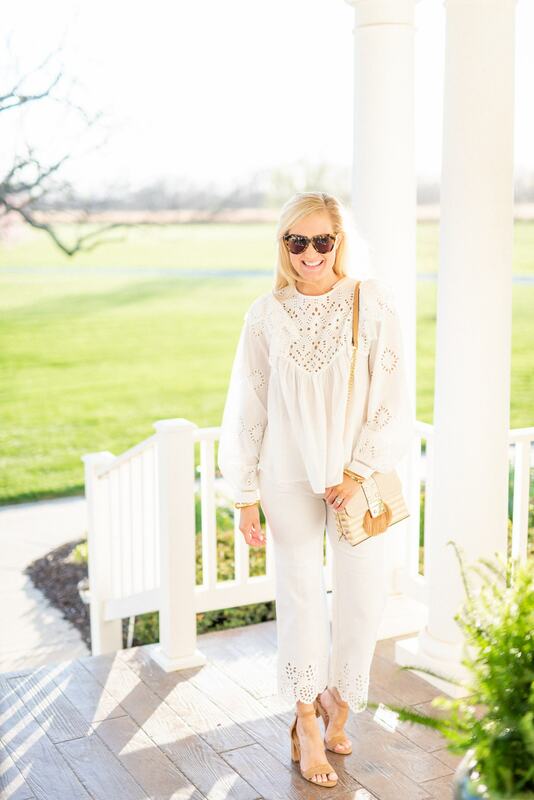 The white and eyelet details scream easy, breezy, and cool! Both my top and jeans are from H&M, but sadly the top sold out instantly. 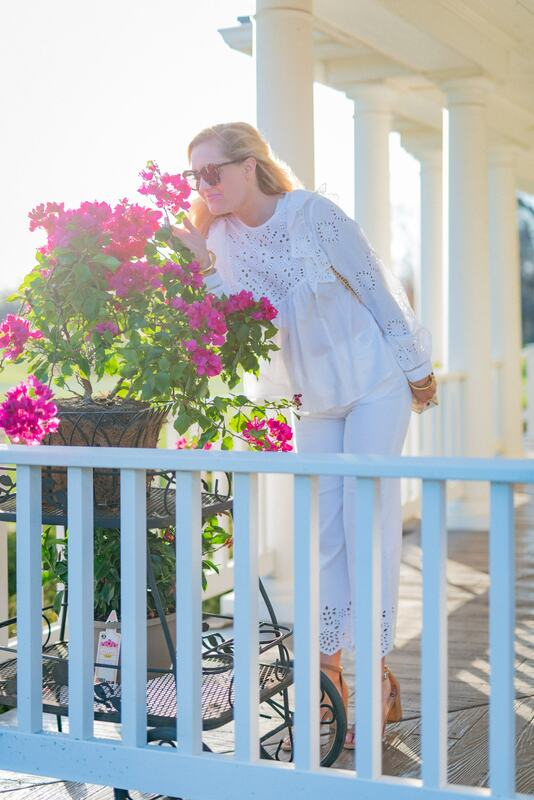 I’ve found a couple other tops for a fraction of the price that have the cutest eyelet detail. My jeans run true to size and almost all sizes are still available. I will definitely be wearing these all summer! I’m thinking a cute stripe top would be darling for the 4th of July weekend with these! 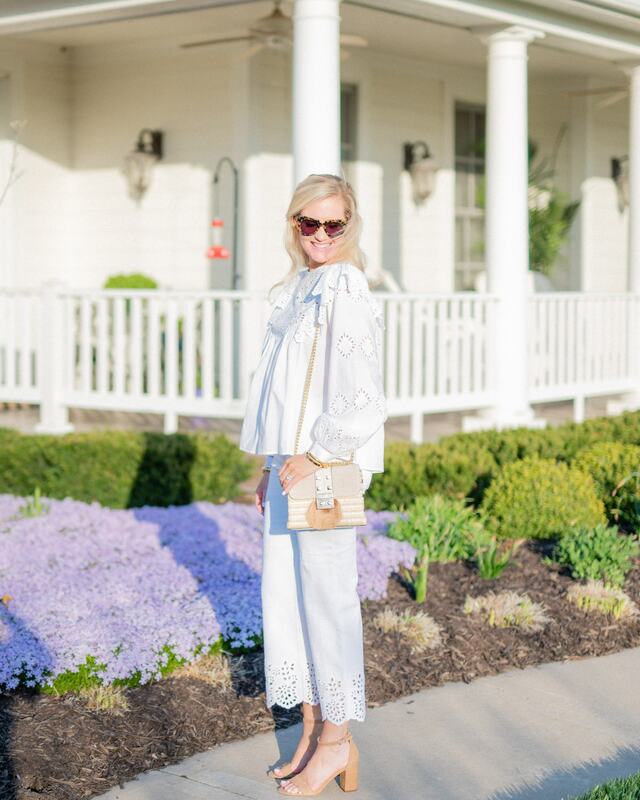 My heels are from Nordstrom and have been one of my most versatile pieces this season. They are VERY comfortable and can be both dressed up or down. I’ve worn them to a wedding as well as out for date night. This ASOS bag has sold out, but was recently restocked. I’ve also linked some of my other favorite wicker bags in the SHOP the POST section above. 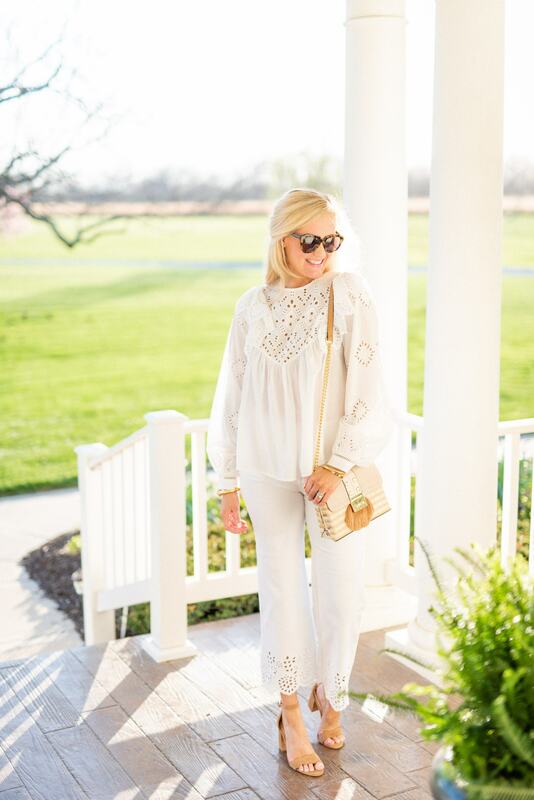 Wicker and straw bags are such a fun summer accessory to add to any outfit! As always, please message me with any questions!